Fallon Conleth is nervous. After all that his brother went through during the mating ritual, he is scared the same could happen to him. He doesn’t even want a mate, but when a potential human showed the sign of his dragon clan, he was chosen. So here he is taking part in the ritual. Maybe it will go quickly and he can get back to the states with his brothers. What Fallon realized when he walked into that room and laid eyes on the human woman who bore the mark, was this is not going to be a walk in the park. Maddie Thompson’s life has changed dramatically. Running from a past that seems to be an inferno, she soon discovered that she is something more. She bears the mark of the blue dragon clan and now she is here to choose her mate. Her friend Colin has helped her heal her broken heart and learn what she really is. She feels she a loyalty to him like she owes him. But when a blast from her past walks into the room her heart stops. The man who broke her heart stares her in the face and now she knows her decision may not be as simple as she thought. What’s worse if she chooses wrong it could be the end of her. Wow! This is a wonderful kick off to a potentially great series. 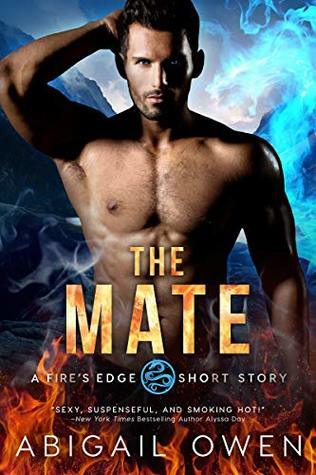 This novella was a quick and amazing prequel to Fire’s Edge paranormal romance series. This series is centered around dragon shifters and while I am not a fan of dragon shifter books, I absolutely loved this one. Not only did Abigail create a unique world, but she created amazing characters, who are interesting and very intriguing. I am definitely interested in getting to know these characters and experience their world. Overall the book is a short and quick read, but it is not rushed. It lays out a bit of the back story and creates a solid foundation for the series. Introducing some of the characters slowly and giving us the main achievement for the characters. The book is exciting with edge gripping action and steamy romance. I am hooked and I can’t wait to see what Abigail has in store for her dragon shifter hotties. Oooh. I like the sound of this!! Your welcome Abigail. I really enjoy all the books you put out. You are a very talented author. 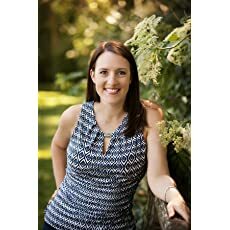 🙂 Thank you for letting me read and review your books. This looks amazing! Can’t wait to read it.